The former governor of Abia, Dr. Ordzhi Uzor Kalu, said that the Illiterate Biafra Men (IPOB) expressed a false opinion about him and advised the separatist movement not to forget its lines so soon. Kalu responded to various statements coming from the IPOB advertising secretary, Emma Moulist, and the lawyer for the IPOB leader, Ifanei Egiofor, on their reaction to the interview that he allegedly provided on Sunday. He was quoted to say in an interview that he had received information from a relative of Nnamdi Kan that he had traveled abroad after his dubious location after the alleged invasion of the Nigerian army into the Kanu house. 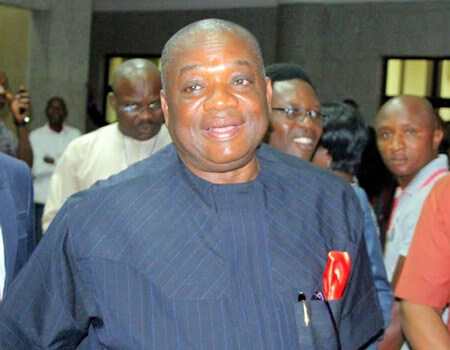 In a statement signed by the special assistant to the former governor Peter Eze on Tuesday, Kalu said that he can not worry about the false stories of the IPOB representative about him when there were so many other things to worry about. He said that this was not the first time he had been misunderstood. "I believe that everyone has the right priorities and he knows what is really important. For example, our Igbo brothers are safe in the North, and our minds settle on their property, and this is important. Dancing to the blows of a popular drum is not on my list. These boys, throwing abuse and insults at everyone who opposes the division, are simply ignorant. I forgive them, "said Kalu. He said that his statement of the whereabouts of Kanu was a branch of the interview he gave to the reporter. He called it pathetic that most Nigerians were interested in sensational headlines and were less interested in details. He added that Biafra's agitation was a problem that concerned many people and was silent in the face of its dangerous consequences, would be wicked and neglecting the safety of the lives of Igbo people. He said he wanted the IPOB to be more civil in order to follow their statements, arguing that attacking his personality and refusing the problem he raised made them look irresponsible. He rebuked the IPOB for having forgotten his lines so quickly and said that through his intervention, many detained IPOB members were laid. IPOB adhere to constitutional means to achieve their goals, not violent steps. IPOB agitation is less effective and unfair, thereby playing itself at the mercy of the government. The government should follow this issue to its logical conclusion. In particular, the group highly appreciated the APC-led government to start the process by convening public hearings to present memoranda to its committee on true federalism. He, however, warned that this issue should not be viewed as a mere distraction, but a strong step towards the fulfillment of the manifesto of the party.